Mister Maker is coming to Australia in June and July during the school holidays for a live tour taking him to Sydney, Melbourne, Brisbane, Adelaide, Perth, Newcastle and Canberra. Phil Gallagher (Mister Maker himself), is popular amongst kids and has been nominated for a BAFTA Children's Award for Best Presenter. 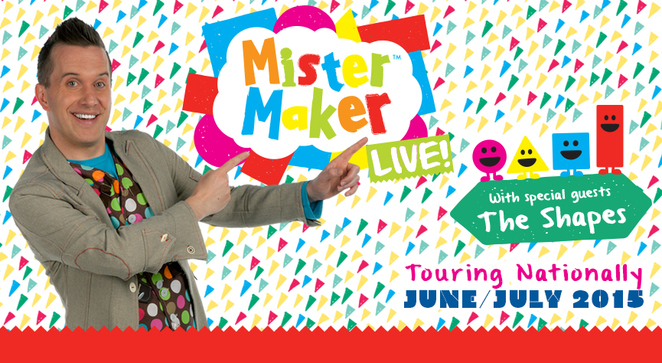 "Mister Maker" is the ultimate children's arts and crafts show, teaching and entertaining in fun and imaginative ways. Set in his own 'fantasy' art room that he has created, prepare to expect the unexpected as pictures, objects and things that Mister Maker has made come to life. Mister Maker encourages every child to be a confident artist, and 'have a go' themselves. The show stimulates children's personal and social growth through fun, play and experimentation, and inspires children to learn new art techniques. In every Mister Maker television show, Mister Maker is joined by his four colourful friends, The Shapes, who just love to do their dance… if you can wake them up first! For the first time, The Shapes will be joining Mister Maker Live, on tour! Check out their webpage here for special games and dances. Since his debut in 2007, Mister Maker has gained international success with his unique ability to encourage children to use their imaginations in fun and creative ways. Screened in over 100 countries, and dubbed in several different languages, Mister Maker's crafty approach to children's entertainment sees mini-makers transcend culture and age, with a fan base ranging from toddlers to adults. Mister Maker's recent 16 shows at the Sydney Opera House sold out within days of going on sale, so get in quick to avoid disappointment. 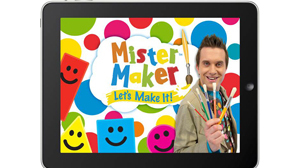 While you're waiting for showtime, hang out with Mister Maker on the "Let's Make It!" app. Wanted to take my grandchildren to this event, but your price makes that impossible by putting it well beyond my means. Apparently only targeted at the wealthy? Most disappointing as my little ones were huge fans.